Ski Dagmar is #1 for Family Fun !. You can buy your tickets, season passes, and more online. Alpine Skiing and a world class Terrain Park ! Discover the Thrill of Winter ! Ski Dagmar is the ‘Go To’ Family Resort that everyone is talking about. Our Family Learning Center has it all ... 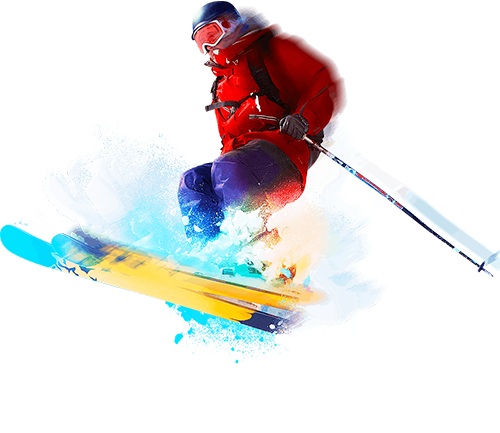 Learn to Ski Lessons, Magic Carpet & Specialized Children’s Instructors. Whether a Grandparent or 3 year old, Dagmar’s scenic slopes provide a fun and exciting learning experience for all. Riders don’t miss Dagmar’s renowned Terrain Parks, largest in the Durham Region. Relax in our comfortable lodge to top off a winter experience you will never forget! 4 Chairlifts including 2 Quads and 2 Triples - Carrying you to the top FAST! 2 Magic Carpets - like a moving sidewalk, easy and fun! 18 Runs - With varied terrain for all skill sets. Durham Regions Largest Terrain Park - Over 60 feature in 4 Progression Parks for all abilities from beginner to advanced levels. MY Snow School - With a team of experts lead by Meredith Youmans CSIA Level IV. 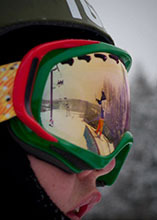 Superior lessons and fun programs, unsurpassed in student/ instructor ratios. Restaurant and Fully Licensed Lounge - Including a Coffee Bar. Personalized Equipment Fitting in our Customized Rental Shop - Uniquely designed to provide you with a SKI OUT experience. Pro and Repair Shop - For Ski and Snowboard Tuning. Gift Shop - Great selection of helmets, goggles, gloves, souvenirs and more. Gift Cards for all occasions available. Dagmar’s State of the Art Snow-Making System - With top of the line grooming equipment, ensures our Alpine Runs will have plenty of SNOW and great conditions. If you ride parks, this is the one to hit up!!! Designed for beginners to advanced skiers and boarders, Dagmar's terrain parks are constantly evolving throughout the season to keep them fresh and challenging! They are meticulously maintained all day by our very enthusiastic park staff. Dagmar has over 40 features including Jibs, Boxes, Walls, Bonks, Picnic table, Stair set, Rainbow (rail, box and wall! ), DFD rail and t-box, FDF, Battleship and so much more!!! Dagmar also has 2 jump lines with hits from 3' to 50' and our grooming department, operating the best equipment available in the world, are constantly creating new snow features including; Hips, 1/4 pipes, Pyramids, Spines and whatever else our creative park staff dreams up!!! Ready to start riding Small Park Features? Introduce yourself or your little ones this season to the Puppy Pound. Created for beginner park skiers/riders and can be found on our gentle, green slope. Try soft rollers, mini jumps and small berms in a private, approachable environment! Even parents can try! Anxious to try the next step in Terrain Park Progression? This will be your place to “hang-out” this season! Planned for our novice park skiers/riders, the Dog Pound introduces riders to boxes, rails, wedge jumps and hips! An awesome park for building confidence and perfecting your form! Are you an adrenalin junky? Designed for Intermediate Park skiers/ riders, the Impound is now larger to fit more impressive, challenging features and slope-style flow. With The New Dog Pound available this season, you will see less traffic in the Impound, an exciting park environment! Looking for BIG AIR!! The Compound is the place for seasoned park riders/skiers. Carefully designed, on the slope under the Big Daddy chairlift, The Compound showcases innovative and very demanding, large features with fresh designs and new “lines” created throughout the season. Always be safe and adhere to park etiquette when skiing or riding in any one of our 4 fantastic parks this season! Helmets are Mandatory in the Terrain Parks. Dagmar is Closed on Mondays & Tuesdays Except Holidays. 4. Before starting downhill or merging onto a trail, look uphill and yeild to others. 8. Keep off closed trails and closed areas. 9. You must not use lifts or terrain if your ability is impaired through use of alchohol or drugs. 10. You must have sufficient physical dexterity, ability and knowledge to safely load, ride and unload lifts. If in doubt, ask the lift attendant.